Home > Parenting Blog > How to encourage good study habits without nagging! Let’s accept it — kids dislike homework. They probably procrastinate indefinitely if a parent didn’t intervene. The only issue is that our prompting perceived as nagging yelling, both of which don’t support the desired outcome. Parents desire that their children develop effective and efficient study skills to achieve desired outcomes. However, many a time our positive-intended efforts turn out to be arguing with aggression and an unhealthy conversation thus forming ripples of negative energies around and a disturbed state of mind. If study time is turning out to be a battlefield, your child is getting cranky, and you get labelled as a homework nag — try a few of these techniques. Attitude adjustment Most of us dislike the word homework. Even in our childhood, the word homework haunted us. Right! Now the again after a few years this word homework still makes space for itself in our mind. Remember, spending some with your child with his homework isn’t something irritating, but revision for your child to practice, learn and revise what is being taught in school. With the help of a positive attitude, we can set a positive platform for learning new skills and establishing a healthy habit of study. Identify the problem Probe further if there are any issues as to why the child is reluctant to do the activity. Ask a few questions to understand the school atmosphere or the reasons for lack of interest. Address the issue and help the child overcome the challenges. Offer assistance to help the child to carry books as per school timetable and maintain up to date class work books. Show your eagerness to help your child in maintaining his study table and room. Ensure you don’t label your child as messy, untidy or lazy. Instead use encouraging and positive words. Schools usually update the homework topics through messages or emails nowadays. Keep yourself updated. Begin the study with a mind full activity. A smooth transition from play to study helps the child to slide to a peaceful state of mind before studies. Indulge in a form of a peaceful mind exercise include a mild and soothing music in the background. This helps the over stimulated brain nerves to soothes the ripples in the mind. A calm mind is ready for studying. Encourage Smart Study and not hard study or hardly study Make use of prompts/ pluck cards to inform kids about study time or practice time. These prompts act as strong messages to the mind and help be aligned and focused on the plans. Make studying interesting; for boring subjects read it in different accents like American accent, German accent or the Arabic accent etc to add some humor and ease memorizing. Ensure you make use of different techniques of mind maps, visualizations, memory, etc. that can help children understand the concepts and hence create immense interests. Meet a professional for further guidance. Build Confidence and self assertions: For subjects which the child finds it difficult or uninteresting help the child build confidence that he can do it. Positive affirmations act as strong messages to the brain and aids in understanding the concepts and learning. Fix up a study time and avoid rescheduling: mind likes to be a routine. And a simple practice for 21 days mind is fixed with routine. Ritually following the routine helps the mind to adjust accordingly. Choose a time for homework and ritually stick to this routine. Reinforce the efforts of the child Ensure that you appreciate the efforts of the child and not the child alone. An effort, when acknowledged, works wonders with the child. Maintain a healthy reward system which can be with tangible like any favorite dish or a garden outing or intangible things like an appreciative gesture. Homework is a must! They act as revisions, practice and keep yourself updated. 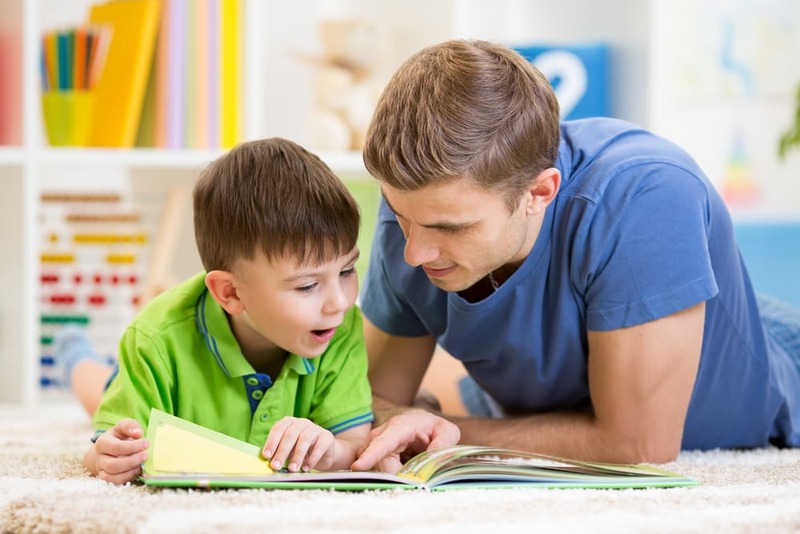 Help the child complete his work by using non-verbal cues, gestures and smart study techniques. Once in a while if a child wants to skip his study time its ok but don’t show it to the child. Mildly admonish; keeping continuous nagging, arguments and disruptive environments away.